Rehoboth Beach, Delaware is a beach community located on the southern end of the pastoral Delmarva Peninsula (a portmanteau comprised of parts of Delaware, Maryland, and Virginia). Because this peninsula requires some effort to get here, it is less discovered than other resorts on the middle Atlantic coast such as Ocean City. This hospitable town, billed as “The Nation’s Summer Capital”, was chosen by the AARP as a “Best Places to Retire”. The Rehoboth Beach Boardwalk was named by Reader’s Digest as Best of America. It is increasingly popular as a retirement community for active adults because of its small town character, reasonable prices, and fabulous beaches. The year-round population of less than 2,000 swells to over 75,000 in summer. Rehoboth began in 1873 as a place for Methodist Camp Meetings. While it still has plenty of small town charm and safety, it has also become known as an artistic community that is popular with gays and lesbians. It offers small town specialty shopping as well as factory outlets and malls typical of resorts. Recreational opportunities from golf to sailing abound. Delaware has an very appealing tax situation with low property taxes and no sales tax. Photo of Rehoboth Ave. courtesy of Wikipedia and Dough4872. The area near Rehoboth Beach is filled with active adult and 55+ communities (see link at top right), although some retirees choose to live near the beach or in town. Real estate prices reflect the desirability of living near the ocean. Prices of active adult communities in communities such as Georgetown, Lewes, and Bridgeville might be less, particularly in the inland communities. The Median home value was $579,400 at the end of 2018, according to Zillow. •Heavy summertime traffic • Public bathrooms a plethora throughout the town and beach. Clean. Heavy summertime traffic. Shopping - some cheesy stores but more upscale shops as well. Very few chains-nicer stores are almost entirely independent shops. Lots of renters and tourists which could be annoying for year round renters. Theatre groups include the Henlopen Theater Project and the Rehoboth Summer Children’s Theatre. 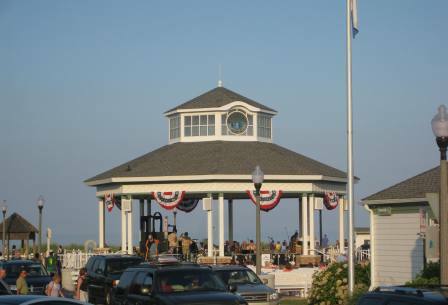 Concerts at the bandstand, the Rehoboth Art League, and the Rehoboth Film Festival. There are several movie theatres. Museums include the Historical Society, Overfalls Maritime Museum, Anna Hazzard Museum (Camp Meeting Era), and the Biggs Museum of American Art. Apple Dumplings etc is great cafe for treats. Try the donut breakfast sandwich. Owned by sweet couple. Cultured Pearl restaurant is probably the best restaurant in Rehoboth. Not cheap, but fresh seafood, sushi and fusion. Major ambiance. 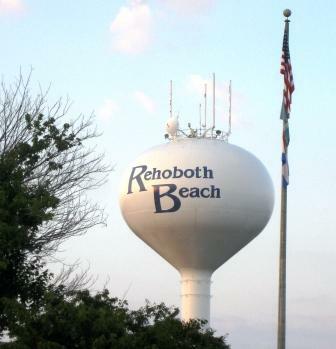 Crime in Rehoboth Beach is slightly less then the national average. Beebe Medical Center and Nanticoke Memorial Hospital. Decent bus service between towns and to and from hot spots (outlet mall). "Jolly Trolley" between Dewey and Rehoboth is great cheap transit option. $2.50 per trip and runs every 10 min during peak or 30-60 mins off peak.Salisbury-Ocean City Airport is 40 miles, Philadelphia is 90 miles. Take the ferry to Cape May. Rehoboth Beach is above average for walkability when compared to other communities.